WASHINGTON — Authorities in Loudoun County, Virginia, are alerting residents about black bear sightings in Ashburn over the weekend. The Loudoun County Sheriff’s office said the furry visitors were spotted near Belmont Country Club and Ashburn Village. The sheriff’s office also tweeted video taken by Kathryn Horner, a resident of Belmont Greene in Ashburn. 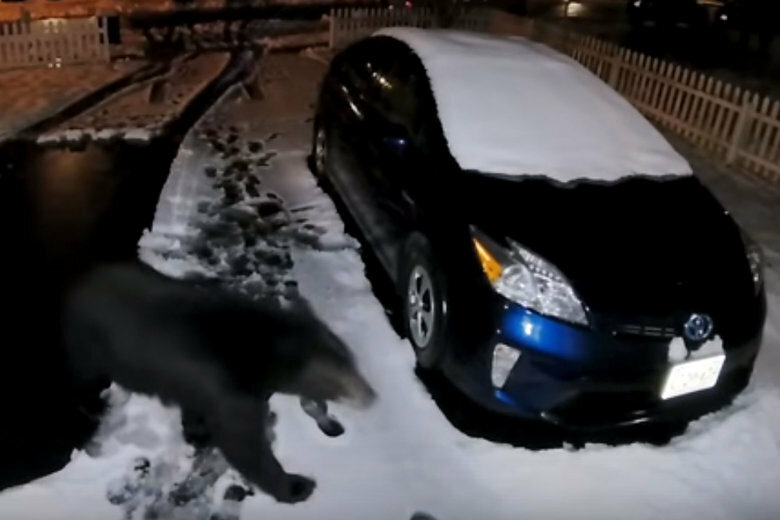 In the video, a black bear can be seen ambling into view from what appears to be the house’s front yard, leaving a track of pawprints across a snowy driveway and then heading back to the front yard. The sheriff’s office said on Twitter that black bears are not aggressive, but advised residents to keep their distance. Authorities also advised people to “bear-proof” their properties.